Immediately after 452 we’ll bump into 352. 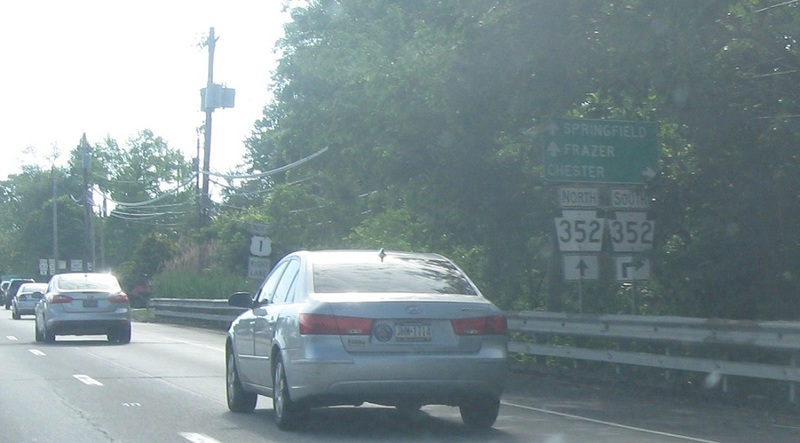 Up ahead, turn right for 352 south towards Chester. 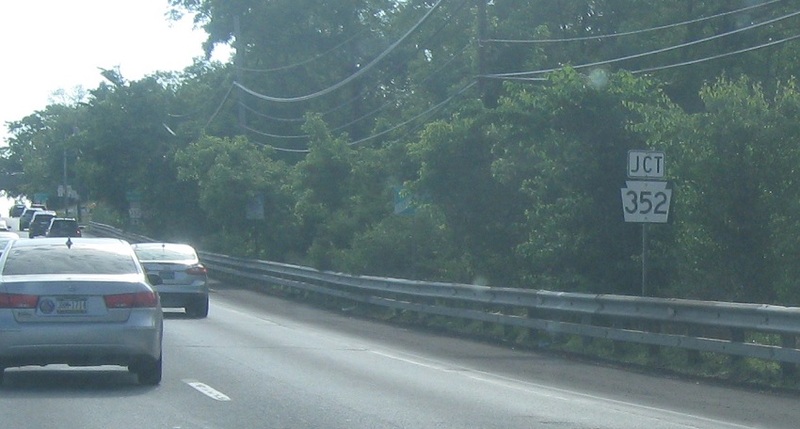 Keep right for 1 north. 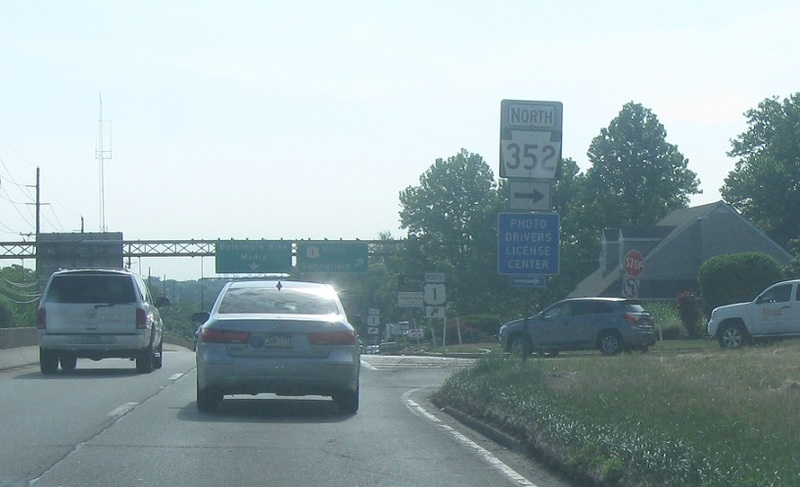 Turn right for 352 south toward Chester. 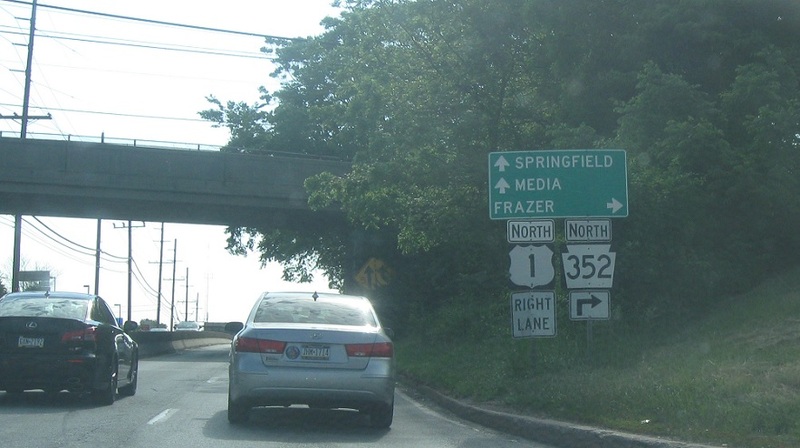 Follow 352 north to Frazer. 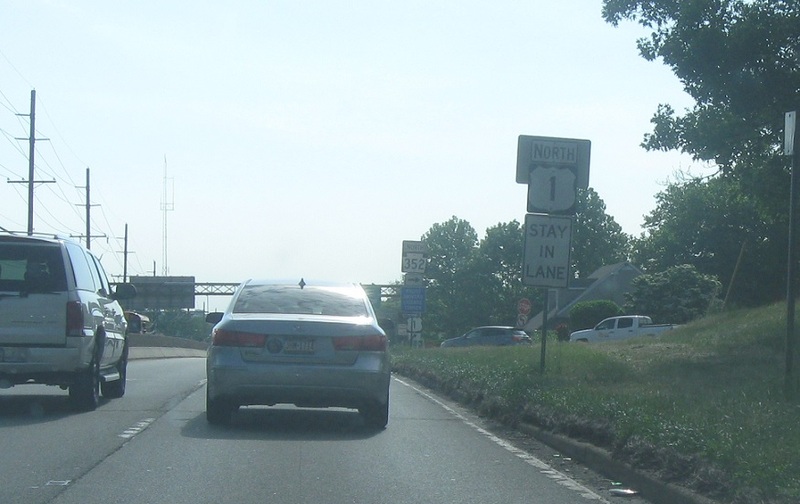 Keep right to stay on 1 north which bears right just after this intersection. 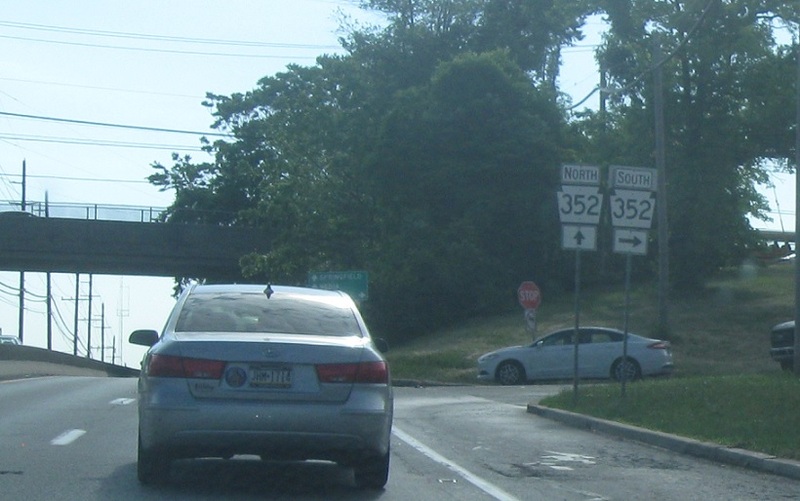 Turn right for 352 north.